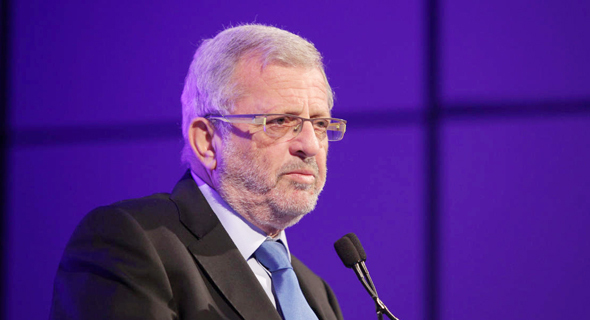 Yitzhak Peterburg, former chairman of the board and interim CEO of Teva Pharmaceutical Industries Ltd., is leaving the company effective immediately, Teva announced Tuesday. "Dr. Peterburg’s decision to resign is solely for personal reasons and does not involve any disagreement with the Company," Teva said in a SEC filing. Mr. Peterburg became the chairman of Teva’s board in January 2015 after being both a board member and a senior executive at Teva. When Erez Vigodman resigned as CEO in February, Mr. Peterburg was chosen as interim CEO. He stayed in the position until Kåre Schultz, the former CEO of Copenhagen-based pharmaceutical company H. Lundbeck A/S, stepped in as CEO on November 1 after relocating to Israel. Teva is currently struggling with debilitating debt and diminishing prospects following a series of unfortunate business decisions, worsening conditions in the generic drug market and the loss of its patents pertaining to its blockbuster drug Copaxone. Prior to Mr. Schultz's appointment, Mr. Peterburg took some steps to alleviate Teva's $34.7 billion debt, including the divestment of several assets and the decision to close some of its facilities over the next two years. In November, Mr. Schultz announced a rehabilitation plan that will see Teva downsize, terminate jobs and swing back into generic focus. He may also be retracting some of the decisions made by Mr. Peterburg during his tenure as CEO. Last month Bloomberg reported that Teva rescinded its plans to sell its oncology division after failing to win offers at the $1 billion asking price.